All horses entering the MFTHBA showgrounds must have a negative Coggins test within the past 12 months and a Certificate of Veterinary Inspection, regardless of the state of origin. Horses must enter through the equine entry gate to have paperwork checked. There is a $10 per horse inspection fee. The equine entry gate will be staffed starting Monday, June 4. Monday, June 4 and Tuesday, June 5: 9 a.m. to 9 p.m.
Wednesday, June 6 – Saturday, June 9: 8 a.m. to 7 p.m.
For horses arriving earlier than Monday or outside equine entry gate hours, check-in will be available Monday through Wednesday at your stalls. This will occur between 11 a.m. and 1 p.m. each day. To have horses checked during this time, owners must sign up in the MFTHBA office. After Wednesday, any horse entering outside the equine entry gate hours must bring their horses to the gate to be checked promptly after the gate reopens. Entries will be accepted only during show office hours, no exceptions. Exhibitors are encouraged to pre-enter their preliminary classes by May 31. Pre-enter online HERE. The MFTHBA and Show Office will be closed from 12 pm to 1 pm each day except for Saturday. 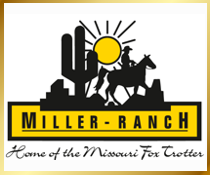 Versatility Ranch Horse classes & Versatility classes MUST be entered the day before the show. No exceptions. Evening performance & model class entries will close at 4:30 pm and Saturday entries will close at 2:00 pm. No exceptions.